Leadership in the Media sector is a complex business where a layer of executive expertise needs to be added to a hopefully existing creative talent. At the Banff Television Executive Program it was a real pleasure to find that the strengths brought by the different candidates could be enhanced and honed by a course that enabled us to exchange experiences, learn to overcome weaknesses, and give us a wider appreciation of how to operate in a challenging and aggressive business environment. 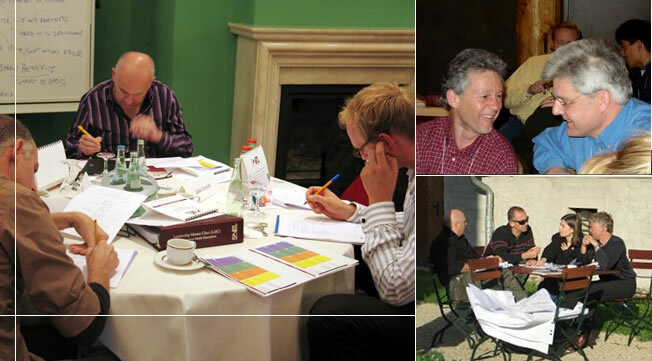 It is indicative that several years after attending, many from our year regularly get together to informally continue the process began at Banff. I am sure we are better and more successful executives as a result! While attending Banff's Television Executive Program, the strategic challenge of how to launch our web platform was used as a live case study. This provided a real break through for us. Upon returning home we presented it to our global executive team and now this forms the basis of our multi-media strategy. A real education in the true sense of the word - giving us wider horizons and a glimpse of how to become the best that we can be. And for the Green Bay, BEL delivered a battery of practical tools which can help us frame our strategy for the future. Creative Director & Partner Green Bay Media, U.K.
Today's European television, digital media and mobile platform environment is experiencing unprecedented shifts and changes. Come join us in Strasbourg in June to explore these and other compelling executive leadership issues!